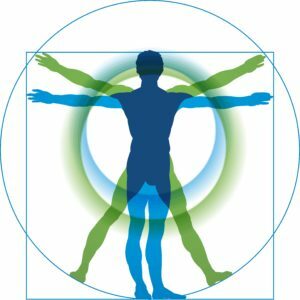 The Academy of Nutritional Medicine is an international interdisciplinary forum for the integration of conventional and complementary health disciplines. AONM’s Advisory Committee includes scientists, experts in nutritional medicine, and medical doctors who are involved in academic research and/or teaching. The expert members of this committee are responsible for assessing the merits of research proposals and proposed collaborations. Their feedback is then formally reviewed and acted upon, as appropriate, by the steering committee ofÂ AONM. Chairman of AONM, and of AONM’s Advisory Committee. Professor Albert Cilia Vincenti used to be the HM Coroner’s Pathologist and Director of Pathology Services to the UK and Maltese NHS. He was also a tutor at London University, and Consultant Surgical Pathologist and Pathology Director to Winchester & Eastleigh Health Care Trust in the UK. Additionally, he is a scientific delegate to the European Medicines Agency. During his long and successful career as a pathologist he has witnessed first-hand the devastating links between nutrition and disease, and has made it his ultimate mission to spread the news about alternative approaches to health. He has published many articles in medical journals and journals on natural treatments, particularly for reversing cardiovascular disease and diabetes. Professor Hooper is an Advisory Board member. He has served at many UK universities as well as in India and Tanzania and has inaugurated links with Indian research institutions and universities and celebrated more than 25 years of productive and on-going links which have, particularly, involved the design and development of new drugs for tropical diseases and an exploration of natural products associated with Ayurvedic medicine. He has published some 50 papers in peer-reviewed journals in the field of medicinal chemistry together with major reviews on the Chemotherapy of Leprosy, the Chemistry of Isatogens.Â He has served on committees of the Council for National Academic Awards (CNAA), the World Health Organisation (WHO) and the Science and Engineering Research Council (SERC). Professor Hooper is a member of a number of learned bodies, including the Royal Chemical Society, the British Pharmacological Society and the Society for Drug Research (SDR), now renamed the Society for Medicines Research, where he has served on the committee for 12 years and served as Chairman for 2 years. He was appointed Chief Scientific Advisor to the Gulf Veterans Association (GVA) and accepted by the Ministry of Defence (MoD) as their nominee on the Independent Panel established to consider the possible interactions between Vaccines and NAPS tablets.Â He has also served on the Gulf Support Group convened at the Royal British Legion. He is Patron of the Sunderland and South Shields M.E. Association and a member of the Newcastle Research Group, which includes eminent physicians and scientists performing research in to CFS/M.E., where one recent aspect has been the identification of organochlorine pesticide poisoning being misdiagnosed as M.E. He is also Medical Advisor for The Grace Charity for ME. He worked with the Autism Research Unit (ARU) at the University of Sunderland for over 20 years, leading to involvement in biochemical studies to offer help, support and treatment for people with autism.Â This has also lead to research and urine-analysis of Indolyl-Acroyl-Glycine (IAG), which is an unusual metabolite found in excess of 90% of people examined in different groups of GWV, M.E and Organo-Phosphate (OP) poisoning sufferers.Â He served on the General Synod of the Church of England from 1970 to 1980 and he is a Christian Lay Leader, Preacher and Teacher. Dr. Armin Schwarzbach, Ph.D, MD has specialised in laboratory medicine and the diagnosis and treatment of patients with tick-borne diseases for over 20 years. He studied Biochemistry, Pharmacology and Medicine in Germany, and worked in hospitals in the fields of internal medicine, oncology, cardiology, gastroenterology, nephrology and infectology. He developed the first Radioimmunoassay (RIA) for the human Gastric Inhibitory Polypeptide (hGIP) and started specialising in laboratory medicine in the areas of infectology, microbiology, immunology, hematology, clinical chemistry, endocrinology and gynaecological endocrinology. He was the co-founder and CEO of the Borreliosis Clinic Augsburg and laboratory manager of Infectolab, Germany, from 2007 – 2014. He is currently the CEO of the autonomous laboratory ArminLabs, Augsburg, Germany, dedicated to the diagnosis of tick-borne diseases. Dr. Schwarzbach is a former Board Member of the International Lyme and Associated Diseases Society (ILADS), USA, and serves as an expert on advisory committees on Lyme Disease in Australia, Ireland, France and Germany. He is also a member of working groups for Lyme Disease in France and Canada. He took part in the Hilysens I and II scientific research projects organised by the European Union. These aimed at developing a prototype of a highly sensitive lab-on-a-chip tool for Borrelia burgdorferi IgG and IgM antibodies. Having tested over 50,000 patients for tick-borne diseases, Dr. Schwarzbach is acutely aware of the insufficient sensitivity and standardization of Borrelia antibody ELISA and immunoblot tests. His goal is to make tests available that have greater sensitivity and specificity as well as to disseminate information regarding the importance of early diagnosis and treatment of tick-borne diseases. Gilian Crowther is a fully qualified Naturopath and Nutritional Therapist. She specialises in complex multisystem disorders, and finds that her core focus “mitochondrial dysfunction” underlies much of today’s chronic disease. Gilian studied complementary therapy in Germany for many years before completing her training in the UK, and is also a proficient and highly qualified translator and editor. She has been a senior member of AONM since 2010, and helps coordinate the Academy’s events and outreach. She holds regular clinics in London, and is also very willing to make home visits if patients find mobility difficult. Her services are fully insured with Balens Insurers. Dr Harold Gaier is an Advisory Board member. Dr Gaier is someone who is frequently referred to by others on matters relating to complementary and alternative medical and diagnostic techniques. For six years he served on the Research Committee of the Prince of Wales Foundation for Integrated Health as a naturopathic physician. Most recently he has held the appointment of Director of Medical Research at two major Clinics in London (The Hale Clinic and The Diagnostic Clinic). His published work includes the Encyclopaedic Dictionary of Homeopathy and peer-reviewed papers on gut-related medical research as well as medical economics. He is also a regular contributor to the magazine What Doctors Don’t Tell You. He believes that there are non-orthodox medical treatments for virtually any disorder, which have been shown as successful in hard-science backed, published investigations. He has published reviews regularly on such investigations for the past fourteen years and continue to do so in some of today’s leading publications. He does not dismiss out of hand any traditional therapeutic approach that can, perhaps, not yet be fully explained in terms that accord with Western science. Juliet Hayward is an experienced Nutritional Therapist. She specialises in cancer, autism, Lyme disease, MS and various chronic diseases. She studied at the College of Natural Nutrition and worked for many years as a nutritionist at the Nutri Centre, where she set up a helpline for customers and practitioners. She currently lectures on Nutrition for The Really Healthy Company. She joined the Academy of Nutritional Medicine in 2010.Â She holds regular consultations at the clinic in central London. Juliet is a member of the British Association of Applied Nutritional Therapy (BANT). She can offer home visits in some areas of London. She is insured by Balens Insurers.